I’ve studied Golovkin’s so called Mexican style, and he doesn’t have much defense, he doesn’t have the slip inside game of the great Julio Cesar Chavez, and he cannot fight off the backfoot like Juan Manuel Marquez. Canelo Alvarez is the true Mexican with the hybrid Mexican style. He can fight with intelligence, pressure, and defense. He is great off the ropes like American legend James Toney he can slip and counter with power and speed if you try to attack him. Golovkin doesn’t have the tools that Canelo has, all he can do is go forward and try to break you down by imposing his will on you. The problem here is Canelo is the bigger and stronger fighter now, he has grown into the middleweight division and is built like a tank with an iron jaw. So many people think Canelo is too small, I don’t think so, I believe he will weigh more than GGG on fight night and will break the body down with vicious rips to the midsection and uppercuts to the chin as GGG tries to hit him on the ropes. The chin is about even, the opposition is light years in Canelo’s favor, the only time GGG stepped up in competition he got exposed by Daniel Jacobs and before that fight he was getting hit multiple times by a former welterweight champion Kell Brook. 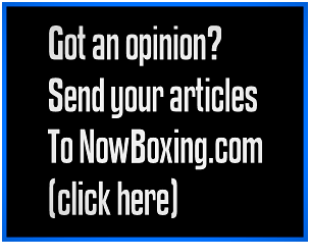 After the fight with Brook, GGG claimed he was sick, already making excuses, now his fans are saying he has gotten old. How has GGG gotten old when he hasn’t taken any damage? Please stop making excuses and accept the reality that you are nervous of the possibility that Canelo will destroy your boogie man. The only reason GGG looked so scary is because fighters feared him, Canelo will not fear him and bully him. The fight will start slow, both fighters will feel each other round and measure the distance. GGG will start to apply pressure and Canelo will set traps countering him. The middle rounds will be close but Canelo will land the more vicious body shots and upper cuts, around the ninth or tenth round Canelo starts to punish GGG to the body and stops him either by GGG taking a knee and quitting or his corner throwing the towel in to stop the fight. Big time boxing fan. Grew up in East Los, and been an avid follower of the sport and the legends like Julio Cesar Chavez, Vicente Saldivar, Salvador Sanchez, Carlos Zarate, Erik Morales, Ricardo Lopez and Juan Manuel Marquez just to name a few. Current favorite boxers: Canelo Alvarez, Mikey Garcia.